My first foray into the bona fide Turn Based Strategy realm, outside of tabletop gaming, Chess and Checkers, would be X-COM: UFO Defense back in the early 90's and I immediately fell in love with the genre. The level of strategic warfare, resource management, and needing to maintain a discerning eye over both the immediate battle and the overall campaign was something new and exciting and allowed any would-be armchair commander to really shine. Since then I have taken more to the Science Fiction realm of 4X strategy as well as being a huge fan of X-COM: Enemy Unknown, though when historical or alternate history turn-based strategy games like Panzer Tactics and the Total War games were released they certainly piqued my interest. Panzer Tactics HD is a digital remaster of the classic Nintendo DS game, Panzer Tactics that was released back in 2007. 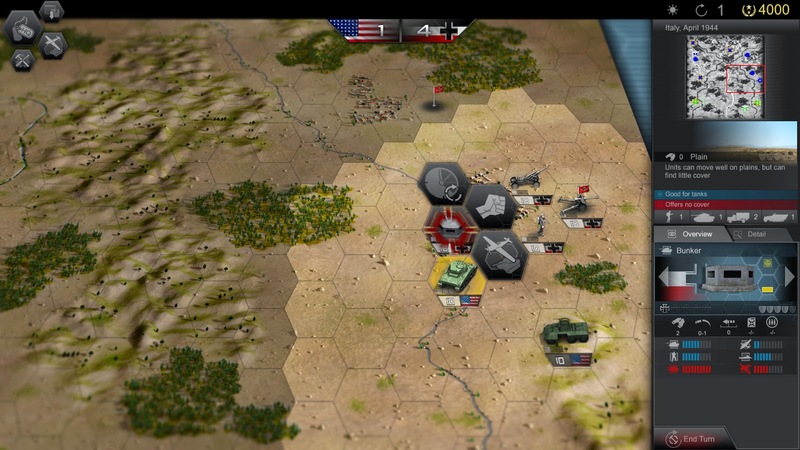 Set in World War II, you take the role of a commander in the Axis army, the Soviet army, and the Allied army as you wage war against your enemies. Does the remastered Panzer Tactics HD port over to the PC and still retain the brutal yet satisfying tactical warfare of the original? The fresh coat of paint on Panzer Tactics HD is clean, crisp, and a beautiful re-imagining of the old Panzer Tactics. 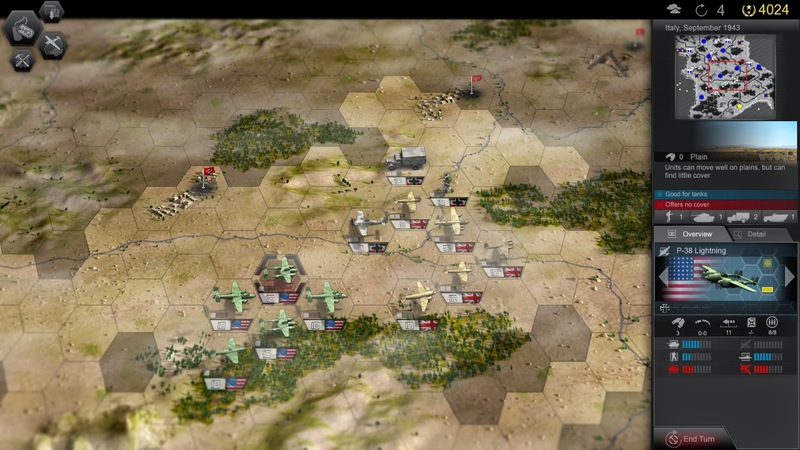 Each battlefield is meticulously drawn and animated, showing a beautiful board with which you will travel across, setting up your ambushes and defending your towns against the opposing forces. Combat animations are not the only wonderfully rendered particle effects, with brilliant muzzle flashes and explosions, but engrossing weather effects and cloud cover, as well as a highly attractive animated pseudo-2 dimensional water effect all add a level of polish on top of the beautiful boards. 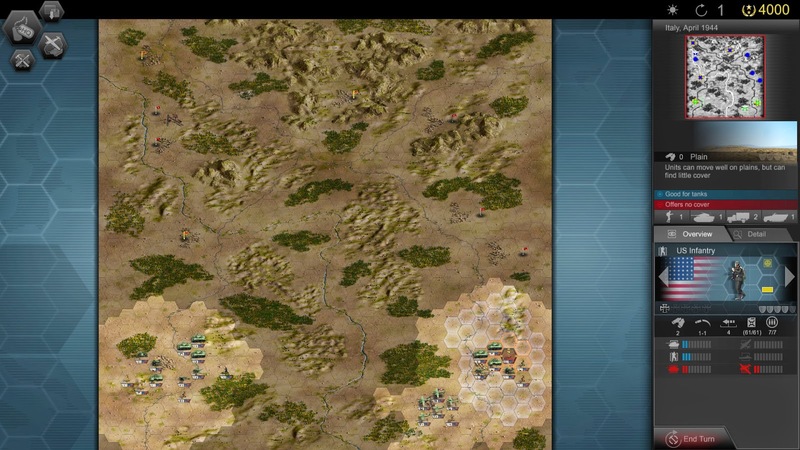 Adding to the over graphical polish is an updated interface with clean, futuristic lines and tables that layout the different attributes of the units as well as the terrain that they are positioned on. The only real disappointment in the graphical overhaul is in the unit designs themselves; while far-and-away an improvement over the Nintendo DS sprites, the units in Panzer Tactics HD look hand-drawn with little-to-no color, making them appear like paper dolls on these amazing battlefields and it, at times causes a break from the lush backdrops to have these simple unit designs pop out in a monochrome fashion. You get used to it after a while, but it is a bit unsettling at first. For such a graphically attractive game I was fairly underwhelmed by the attention paid to the music. Yes it sounds more modern and crisp but it lacks depth and variety and it can get quite tiring. While I am a fan of classical overtures, the repetitive nature of overtures can wear a bit on the nerves when you are staring at your screen for long periods as you plot your moves and actions. The individual unit sounds, from movement to combat on the other hand is quite realistic and would fit in perfectly with any big screen adaptation of famous World War II stories. Clean and rich, the sound effects add the perfect amount of realism to otherwise stale unit models and I found that after a time I simply turned the music off and enjoyed the sounds of battle and the ambient effects of the battlefield as a whole. Panzer Tactics HD is brutally efficient at pushing your skills as an armchair commander though not so much that you will simply give up and walk away. The risk-versus-reward way of thinking that is a staple of turn-based strategy gameplay is strong and enjoyable and the micromanaging that is necessary for not only the immediate battle but for those battles yet to come is rewarding all in its own right. Placing your units on the appropriate terrain to facilitate ambushes and ensuring you always have the upper hands is crucial to surviving drawn out battles. A well placed tank battalion in a forest at a choke point can turn the tide of battle, or, better yet placing an artillery unit on a fortified mountain range will give credible bonuses to an already devastating unit. 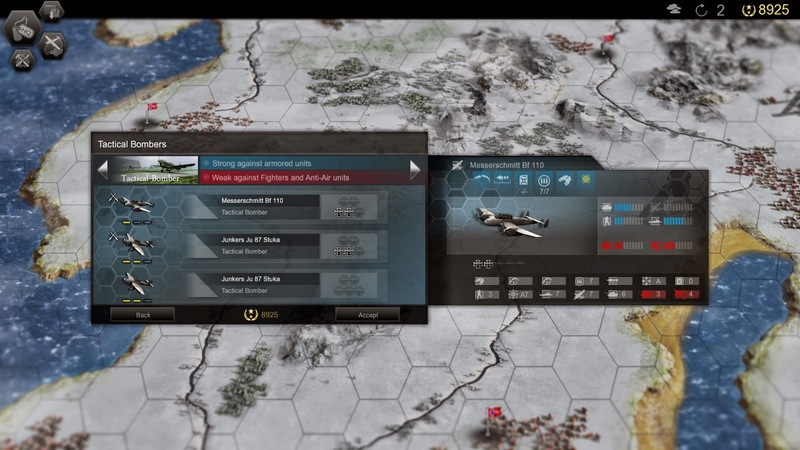 Using aircraft for fast and deadly strikes against naval units and infantry can be a tide-turner, though a well place infantry unit can also change the course of the battle as the units are so perfectly balanced with their own strengths and weaknesses that can be exploited with the various terrain bonuses. The strategic aspects of Panzer Tactics HD is so rewarding that even after getting wiped in a battle or two won't deter even the most faint-hearted commander. There aren't many extras to be had throughout Panzer Tactics HD, however given the turn-based strategic warfare the genre itself is such a treat that there is no need for added modes of play. 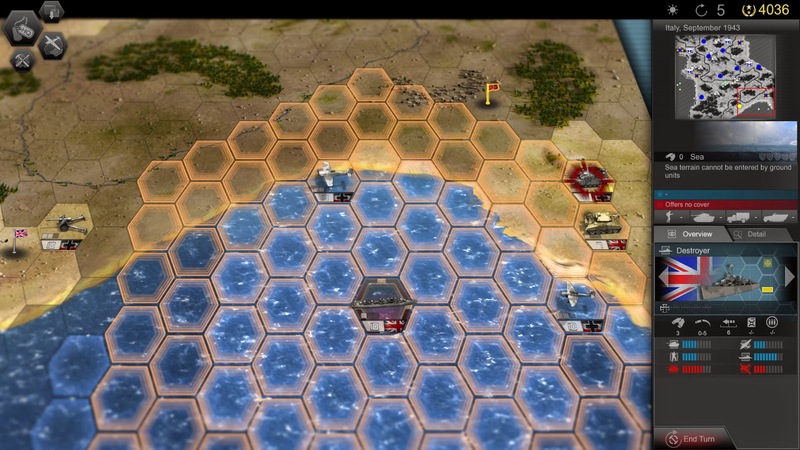 Where it really shines is in the overall package that you get with Panzer Tactics HD. From the micromanaging of fuel and ammo for each unit to the need to retain campaign funds for said resupplying to the individual strengths and weaknesses of each unit type and the way those units interact with the varying terrain, it is all a joy to work with, if at times punishing. On the other hand, while the aforementioned perks are certainly enjoyable, they are staples of any turn-based strategy game that has come out in the last few years. The lack of reinventing the genre does not hurt the game but it doesn't exactly scream new features. 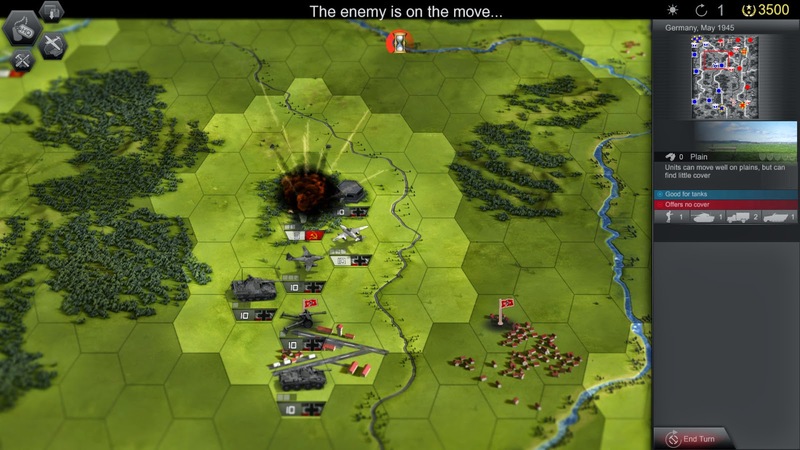 A shining homage to the original Panzer Tactics released in 2007, Panzer Tactics HD is a lovingly remastered version of the favorite turn-based strategy game. While it could have used a little more polish in the unit designs and the music, Panzer Tactics HD brings the portable armchair commander-creating classic to the PC in spectacular fashion. With amazingly animated effects, a beautiful board, and the deep and strategic micromanaging of the resources of war, Panzer Tactics HD is just as wonderful as the original. 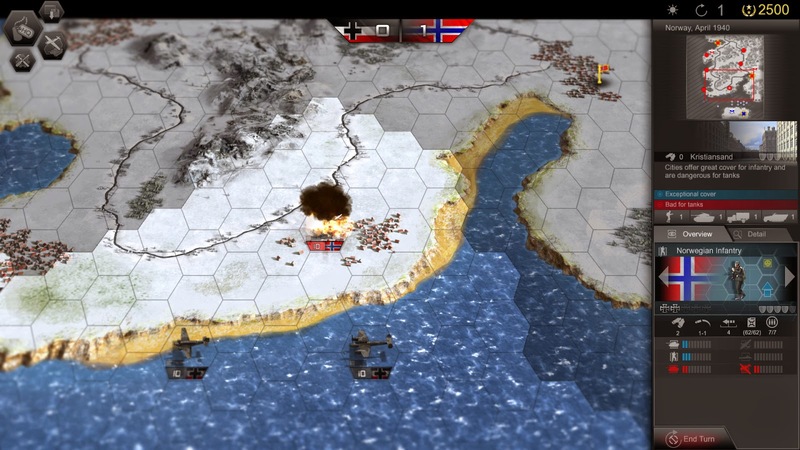 Though it does not bring anything new to the table, the tense and challenging turn-based strategy gameplay is enough to satisfy any world history, military or turn-based strategy fans and it should be added to their gaming libraries.